Discussion in 'Domains Wanted' started by domainerin, Sep 9, 2017. We are buying generic product related domains. 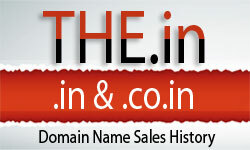 Reply here or PM with your domain name and price. JackD and LLL.in King like this. Thanks but these won't interest us. can I get a reply back? Feel free to reach me, if you are interested on any of the above. Do people buy here or just come for time pass? As you specifically mentioned product related, i'm posting single domain here. There are other one word .in domains as well. I prefer to sell them only at better price or hold them. P.M. me your best price.